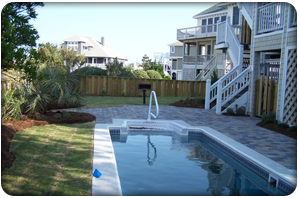 Sandscapes is a wonderful company to work with for any landscape or hardscape project! Sarah and Orlando are professional, hard working and willing to make adjustments at any point in the project (and I had many!). They are constructing a fire pit for us now and I am looking forward to spending many evenings out there admiring their work. Sandscapes scrambled to install an entire landscape for my newly completed oceanfront beach house in less than two weeks. They selected and installed a gorgeous array of plants, flowers and trees. 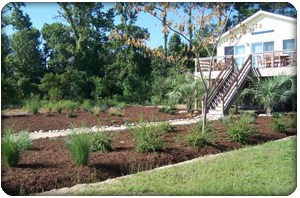 They designed a sweeping vista of beautiful arrangements to complement the views of the Currituck Sound. Our project features outdoor lighting, paver driveway, matching landscape stone column lights, and multiple nautical columns. Friendly, punctual, diligent, creative and competitively priced . 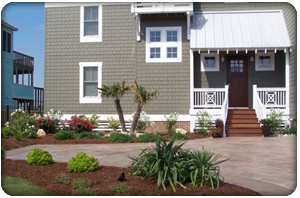 If you want to add value to your home or rental stream, you should go to the, Sandscapes team in the Outer Banks. Why settle for anything less? We’ve now used Sandscapes for two of our homes – one a renovation and the other new construction – both designs are creative, functional, and garner many compliments from family and friends. We very much are enjoying our outdoor entertainment areas thanks to Sandscapes landscaping! 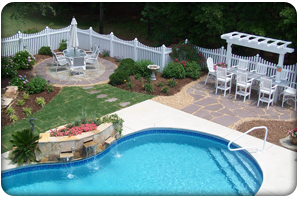 The company did a great job installing pavers around my pool and completing the landscaping. I am very happy with the outcome. I cannot testify as to their pricing as I didn’t really get any comparisons. They were, however, very accommodating to the changes I made during and after commencement of the job. I would highly recommend. The thing I most appreciated was the individual attention and advice we received from Sarah and Orlando, the owners. That was priceless. Sandscapes completed three jobs for me at a total value of about $40K on a new construction beach house in the Outer Banks of North Carolina in the Spring of 2013. These included a stone landing for my front steps, a 2,000 square foot paver patio for our 40×20 foot swimming pool, and landscaping for the pool and front yard. The quality and beauty of the work are truly outstanding. Pricing was very fair, competitive with other offers I received. The work was completed on time. Value for money was excellent. I will definitely do business with them again. All of their workers were courteous and professional and left the yard clean each day. Sandscapes provided my property with a remodel of the backyard. We live on the sound front of the outer banks and wanted a relaxed beach feel. This is exactly what we received, complete with fire pit, seating area and plants that are in keeping with a low maintenance beach area. People that have seen the completed work have all remarked that it is beautiful and say it looks like it has always been this way. 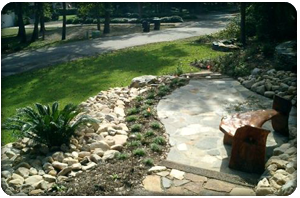 The Houzz Community recommends this Sandscapes Landscaping, Inc. (August 5, 2015). 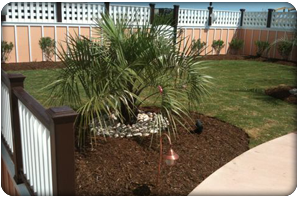 Sandscapes Landscaping, Inc. was rated at the highest level for client satisfaction by the Houzz community..